Bad wires cause fires – These spotlights were recently replaced following an electrical wiring test. Without the test this would probabbly have gone undiscovered until something bad happened. 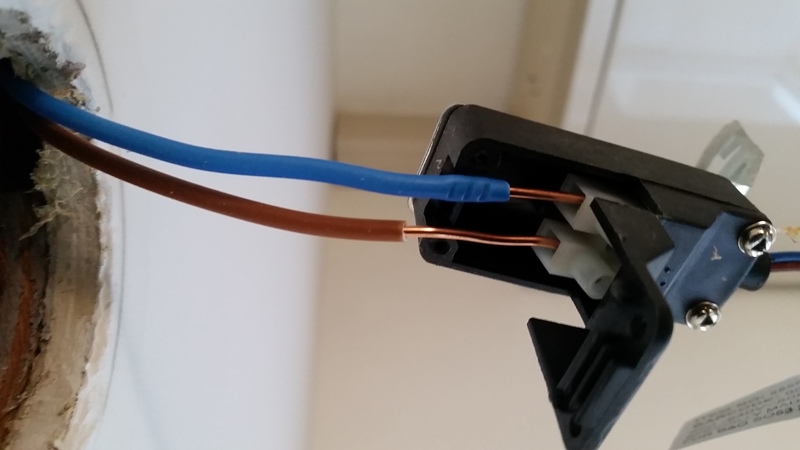 This is a Code 2 on our electrical wiring test report which means potentially dangerous as it has single insulation and also an expesed live coductor. This entry was posted in bad electrics, diy, electrical connection, potentially dangerous, Spotlights. Bookmark the permalink.